O’Briens Crafts and Knitwear is a small, family run business located in the heart of Doolin. From the moment you enter our shop you will know that this is the place to find that unique gift for yourself or your loved ones. Our shop is bright and spacious, with customer comfort in mind. Its modern contemporary design is a perfect backdrop for the range of quality goods on sale here. Striving to promote high quality goods and the artistic talent that abounds here, we support the arts in the community with stocks of beautifully mounted paintings and greeting card collections of local scenes in this area. Armorials – Why not check out if we have your family history surname. These authentic family history scrolls can be printed in minutes. They are carefully packed in a special tube for travelling. You will find that our staff are knowledgeable about the origins of all our arts and crafts and can help you find the genuine Irish sweater or gift that suits you best. 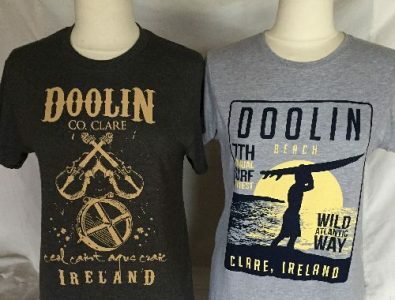 O’Brien’s Crafts & Knitwear can be found in the heart of Doolin, right beside the historic O’Connors Pub, a five minute walk from the pier. We are a 250 metre walk from the public bus stop. We would love the opportunity to share our special selection of arts, crafts and Knitwear with you. 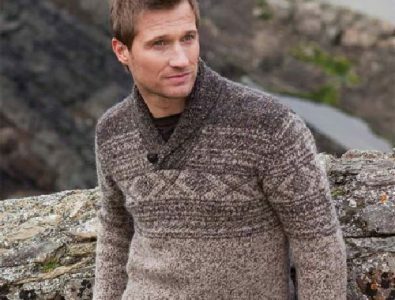 We stock a wide range of ladies, mens and childrens traditional and contemporary Knitwear, these include machine knit, handknit and also hand loomed sweaters, shawls, caps and cardigans. This selection of knitwear are made from Alpaca, Merino, Lambswool and Cotton & Linen mix. Along with all our knitwear we have an array of accessories to choose to compliment that sweater which catches your eye. Pottery would make a very welcome addition to any home that would receive admiring glances year after year. That’s why we put time and thought into our Irish pottery producers. Michelle, being one of these potters creates a unique range of handcrafted ceramic items from large pots to jewellery. Drawing inspiration from this beautiful country, Michelle has created a signature style with her Celtic Stone and Iron Stone collections that are highly sought after. Each piece is handcrafted using a textured stoneware clay and finished with a rich metalic oxide producing a depth of lustre. Glazes are used to enhance areas of pattern and relief creating a rustic earthy ambience pieces. 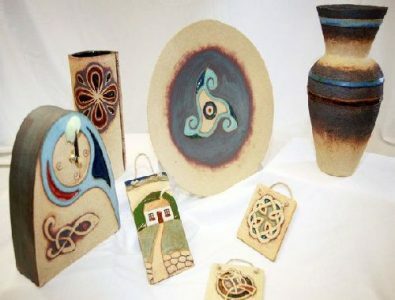 Rossa Pottery, one of the oldest potters in Ireland, Alan keeps with traditional ways always, with each piece delivering unique and unusual charm. These temperamental glazes, complemented by elegant and sensuous designs, this range shows the best of contemporary Irish Pottery, Taking time also to sign each piece of his pottery. Our County Clare potter produces a range of earthy colours in pottery ranging from mugs to beautifully designed once off large bowls. Drawing inspiration for this rural area, she had created a signature style with Celtic designs throughout her pottery collection. We have a wide selection of bags to suit all tastes. Ranging from small purse bags to shoulder and satchel bags. New in stock are an award-winning West Clare business producing beautiful, handcrafted, lined bags, which are available in bright and colourful styles. We have an array of canvas with leather trim bags which are sold in plain and plaid designs. 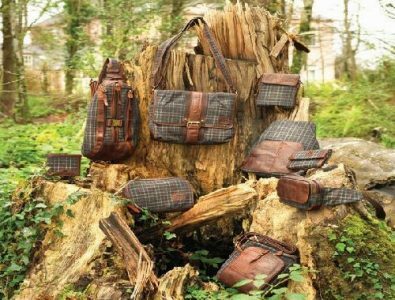 Beautiful bags from Hanna Hats of Donegal which are unique as all their styles are cut to patterns designed by Hanna Hats and assembled by hand at their factory in Donegal town. 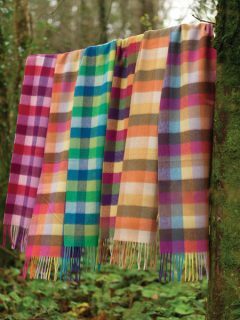 They use the finest Donegal tweed (pure new wool) woven exclusively for them. With a wide arrange of Irish jewellery suppliers, we have something to suit all tastes and budgets. Solvar have a wide selection of jewellery with classic Irish symbols like, Claddagh, Trinity Knots, Shamrocks and Celtic Crosses, which highlight their section of Pendants, rings, earrings and bracelets. Each piece of silver and gold is hallmarked here in Ireland. Becky hand makes eye catching unique and contemporary jewellery, using stunning colourful buttons with only the finest silver plated findings. 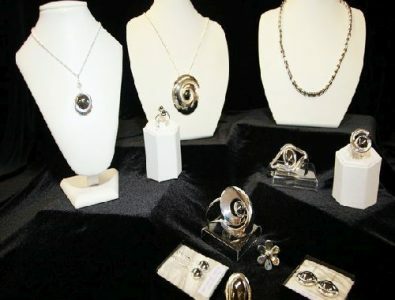 The range includes earrings, bracelets, pendants and brooches. Choose from our wide range of Bespoke T-shirts, we offer unisex in sizes ranging from small to XXLarge. We also have ladies fit T-shirts from small to extra large. These T-shirts are produced in many different colours at an affordable price. We strive to provide the little touches that will make your shopping experience more enjoyable. Fragile items are bubble wrapped, gift vouchers are available, gift-wrapping is provided. We can ship worldwide at your request. Want to Experience the Real Doolin?